Cupcakes 'n Daisies: Another Year of Schnibbles . . . 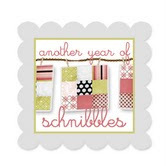 I'm so excited Sinta and Sherri decided to host another year of Schnibbles sew along, or as they have named it, "another year of schnibbles". Catchy title don't you think, right to the point! For the first Schnibbles sew along I managed to finish 3 out of 12 and not a one made as called for in the pattern, but I love them all. The January sew along pattern is Full House. 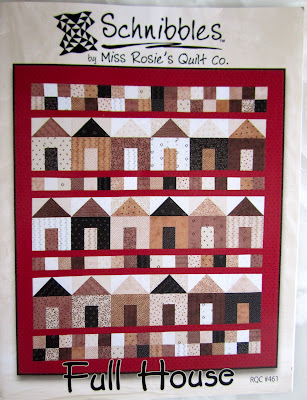 I love this pattern and after seeing Carrie's Christmas houses I decided to make my Full House using Countdown to Christmas by Sweetwater for Moda to go in the guest room with my Countdown to Christmas quilt. I love this pattern so much I didn't see me making any changes, it's hard to improve on perfection. So I made my first house then got to thinking maybe I wanted a more of a "Christmas in the City" theme. And wouldn't some townhouses look nice . . . . maybe I'll be making some changes to this pattern after all.....stay tuned! I admire those who think outside the box...love the townhouse idea. I can't wait to see updates as you make progress. Oh course you will make some changes and make it your own....that's the fun of making a unique quilt! Fun! Love your ideas! Thanks for thinking outside the box. Your Jellystone and Oh Christmas Tree quilt changes have helped me quite a bit. Thanks for helping to get my brain thinking! Can't wait to see your creation! My first Schnibbles was made with the same fabrics...I made the Bennington small quilt. Love your tall houses! Hello Thelma! Ya know, we happened upon your blog by accident and we must say...we love your Countdown To Christmas quilt! How exciting is that? It looks very festive! 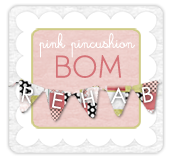 Are you doing a full room with this theme? Looks seeew cute. And I agree with Quilter Kathy....the best part of quilting is that you can make it however you want. You wouldn't believe how many times I hear, "Why did you do that? Or why did you do this?" Um...because we wanted to. That's why. Ba ha ha ha ha ha. Can't wait to see it all finished and completed! Why does this not surprise me? LOL! You changing a pattern? No WAY!!! This is just adorable. I am determined to get more done this year and with the limited time I have for sewing I decided not to join this round but I'll be checking everyone's progress as they go along. Maybe I'll join one or two months in the upcoming year... you never know. I have not forgotten your email. I just have not had TIME to let you know what I've been up to... My daughter asked me to join her on the Disneyland half Marathon. She was inspired by you and said we should train and do it! I'm so pumped!!! ROFL! I've been playing around with something very similar... though I think I like your "townhouses" better. Very cute! Looks like a fun project--I'll be watching to see how your village grows! I started chuckling when you said, "I got to thinking, maybe..." I always love to see what creative changes you come up with! 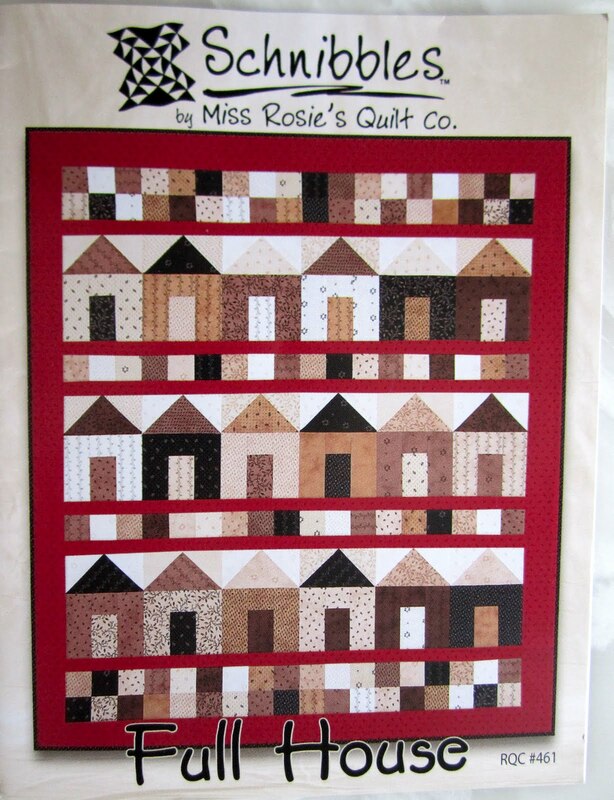 The house block quilts are all nice, yours is going to be unique and fabulous. You always take things to another level Thelma! I love that about you. A blogging friend here in the Netherlands blogged about your blog and so I came to visit and what do I see? You have been to the Corn Wagon in Springville! My friend Shannon works there and she is coming to visit the Netherlands this friday! Can you believe how small this blogging world sometimes can be? You can read all about it on my blog also about our visit to the Corn Wagon in september 2011. YOu go girl! You crack me up Thelma! Of course you weren't going to build just your ordinary little town! You are being influenced by your pre-holiday trip to NY... right?